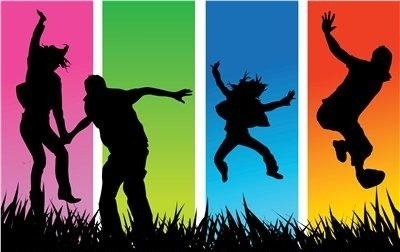 The Children and Youth Ministries call for passion, patience, and faithfulness – pointing out the sacred in the midst of the chaos of adolescence and walking faithfully with young people as they transition from child to young adult. Youth Ministries is a bridging ministry of education, connection, formation, and hopefully, transformation. Responding to the spiritual needs of teens is about building trusting relationships. St. Paul Missionary Baptist Church strives to walk with young people on their journeys from childhood to adulthood, recognizing their gifts for ministry, their questions about spirituality, and their desire to make a difference in the world. The Youth Ministries Office is grounded in the Five Marks of Mission and the Baptismal Covenant, building church wide networks to invite, inspire, affirm, and equip youth for discipleship and Christian leadership in their lives and their communities. 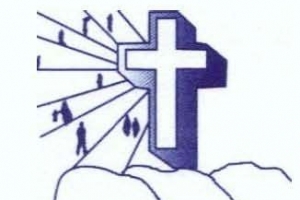 in a safe, child friendly environment which is carefully supervised by adults with heart to work with and encourage children to be the best and reach their full potential through Jesus the Christ. I know you hear me say, “You gottta have faith!” “Your gotta keep looking up and moving forward!” a lot! In order to do both of these there is a trust factor we must overcome. Let’s say for example I wanted to surprise you. After church I say, “I want you to get into the car please.” You ask, “Why should I get in the car?” I say, “Because I want you to see something.” Would you get into the car? If you trust me you will do what I want you to do. Why? Because you know me, you don’t believe I want to do anything to hurt you. God does not want to do anything to hurt us. He wants to give us the best. So when God says, “Get in.”, you have a choice to make. Are you going to trust Him to give you what you need to be your best AND what you want to make you happy? New Year’s Eve Thank You: We thank everyone who participated in the Fusion Lock-In. God blessed the event with almost 100 young people attending. We played games, praised with a live band, ate all kinds of pizza, chips and cookies, watched movies and generally had a great time. January 19th is the march to commemorate the life and legacy of Pastor Martin Luther King, Jr. The march begins in the Kmart Parking lot at 8:30 am and ends at the Veteran’s Memorial Park, Ramada #3. I hope to all of our young people participating. January 25 the Salt of the Earth will be participating in the FDA Community Forum. February 1, Fusion is sponsoring a Super Bowl Party for the Youth at the Village Meadows Baptist Church. See Pastor Michele for registration details. February 15, the NAACP Read In, hosted by the Weaves of Wisdom at Saint Paul Missionary Baptist Church will begin at 3:00 pm and end at 5:00. We would like our young people to participate again this year. We have invited several other churches to join us. Please contact Sis. Berthe Simpson or Sis. LaVerne Jenkins for more information. The Youth group SALT of the Earth is looking for young people age 12 to 17 to join them every second and fourth Thursday of the month from 6 to 8pm. We are community service oriented. Our youth organization develops camaraderie and friendships as we learn how to take God from the church building into our communities through service projects which are fun, educational and entertaining.